In my pre-teen and teen years, the Kansas City Royals went from being a cute, little expansion team into one of the most feared, most respected, and most successful organizations in Major League Baseball. It was around 1976, at the age of 12, where I became familiar with a new term associated with my beloved Royals. The Magic Number. “In certain sports, a magic number is a number used to indicate how close a front-running team is to clinching a division title and/or a playoff spot. It represents the total of additional wins by the front-running team or additional losses (or any combination thereof) by the rival team after which it is mathematically impossible for the rival team to capture the title in the remaining games. This assumes that each game results in a win or a loss, but not a tie. See, easy peasy. Mathematics and sports. The Magic Number played big in my life in the late 70’s and early 80’s. These were pre-24-hour news cycle days. There was no streaming games scores, no checking scores on the smartphone. The only phone was wired to the wall and provided little or no help to the sports enthusiast. So every morning, I would bounce out of bed, get my bowl of Raisin Bran, open the Kansas City Times (the old morning version of the Kansas City Star) and check the Royals Magic Number Box for the latest update on the race for the playoffs. My day would often revolve around whether positive or negative information was gleaned from that particular sports news graphic. It is with great joy that, as a newly-minted, 50-year old, I again enjoy the Royals Magic Number during this summer/fall of 2014. Thank you, Kansas City Royals. Keep counting down that Magic Number. It was Football Friday Night in America. Maybe it shouldn’t have been. Believe me, it was hotly debated before the decision was made to move forward with the week’s scheduled games. This was no ordinary Football Friday Night, this was the Football Friday Night a mere 80 hours after the tragedy of September 11, 2001. It was also only one of two times I’d been brought to tears associated with a football game, either as a coach or a player. In the grand scheme of things, football is not life. Sure there are ups and downs, wins and losses, injuries and triumphs all associated with this great game. Even so, I’ve never really felt the need to cry over a sport, even one I am so passionate about. But on that night, September 14, 2001, standing on a football field in my homeland of Wyandotte County, KS, tears streamed down my face from the emotion of that awful week in American history. The powers that be in the state decided to go ahead and play the scheduled games that Friday. I don’t envy the people who made that decision; it had to be a difficult one to say the least. But we needed to move forward, we needed to establish a normalcy in our own backyards. We needed to find some way to accept the inexplicable tragedy and restore some means of logic into our lives. At Tuesday practice the evening of the tragic events, all I remember is that we were shell-shocked. I don’t recall much from that afternoon except trying to establish some sort of normal practice within the quagmire of shock. And these poor teenage boys asked question after question of which there were no answers to. After we watched the horrific images on television, we tried to cope with the unimaginable event as best we could for the next two days. America was attacked on its own soil by terrorist. As hard as it was, we tried to keep this on the periphery and keep a football focus in order to give the kids a place to escape the tragedy, if only for a few hours. Friday came. Game day. We made a two and a half hour bus trip to Kansas City Piper High School. The normal pre-game preparations ensued as game time crept closer. I was looking forward to this trip because this game was in Wyandotte County. I was born and raised in Wyandotte County, it is in my blood. It is a tough-minded place that produced tough-minded people. The whole Kansas City family was there and my own family made the trip also. I felt a great sense of pride coming home coaching the visiting team against a school I really hadn’t liked since the misguided days of my youth. Both teams lined up before the game in the middle of the football field. Uniform color did not matter one bit as the kids and coaches and officials stood together for a moment of silence in memory of the victims of the terrorist attacks. So there I stood in silence, the soil of my homeland holding me onto a planet tipping wildly out of control, questions and chaos threatening to punt me into the stratosphere of despair. The moment of silence seemed to last forever and a day. There was nothing but stillness and quiet. No whispers and no jokes from even the most immature of teenage boys. No noise from the large crowds gathered, the traffic seemed to freeze in time and even the sun dove for the horizon in hues of orange across the cloud-tinged blue sky. Solemn. The very meaning of the word. Then the National Anthem began and I think everyone within a ten mile radius of the stadium sang the Star Spangled Banner that night. It was beautiful. It was meaningful. Of the hundreds of times I’ve sang it in school and the thousands of times I’ve heard it at various events, it has never really hit an emotional string. But, this time, on Piper High School Field, mere days after terrorists attempted to destroy the very heart and soul of America, the national anthem hit home. We sang it loud and we sang it poorly. Nobody cared. We were united. When we hit the last three lines, I think the true spirit, emotion, and meaning of the Star Spangled Banner flooded across me for the first time ever. I understood. The meaning was crystal clear. 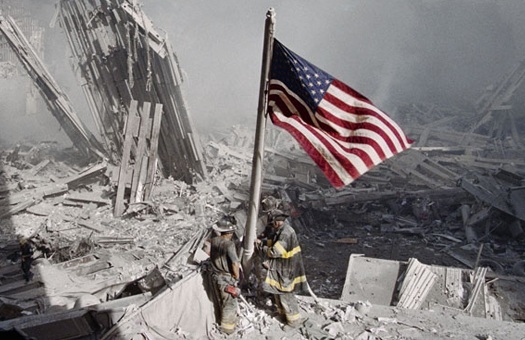 Our flag was still here, our country was still here, and it would take more than an act of terrorism to squash our spirit. The flood of emotions pent-up all week flowed down my cheeks in the tears. The horror, the sadness, the loss, the pain, and the total helplessness dripped with each salty tear from my eye. I wasn’t sure whether it was right to play those games on the Friday night until that moment. It was the right thing to do. By moving forward with these sporting events it not only provided a distraction away from 24 hours of news coverage, it gave a reason for Americans to congregate and spend time with their community. It gave us a chance to begin the healing process. We won more than a football game that night. We, as a group, learned to persevere and to move forward. When it came to coaching football, I was stupid. Seriously, most of the time, I was too oblivious to things going on outside of football while we were supposed to be doing football. Case in point, apples and crackers. Apples and crackers? What in the heck do they have to do with football? Sit down, get a cool drink, and I’ll tell you. It started with early season home JV games, you know those late August/early September HOT games. For this particular first home date, we played an area team who would bring both their freshman team and JV team over for a doubleheader. Me, as JV coach, thought (with the football coach’s blinders firmly in place) this would be a perfect opportunity to practice. Since our JV game would be starting a bit later than usual, we could get a full varsity team practice in. So, I made the last-minute, executive decision to practice instead of letting JV kids have some time off after school. Perfect. An extra almost-full practice. Priceless. Well, maybe not. The first year we did this, we loaded the JV team up after the practice and drove to the stadium. We arrived about halftime of the freshman game. While standing around before warm-ups, a few of the kids talk about how hungry they are and how they had nothing to eat since lunch. Parents with high school boys are well aware of this time warp, which extends the hours between lunch and 6:00 PM into a seemingly 19-day fasting period for these youngsters. Long story short, I knew we would play like dookie and whine like cats in the bathtub if I didn’t find something for them to eat. With the visual of 20+ angry mothers confronting me about not allowing their fine sons to eat before playing a JV football game, I scoot over to Coach Lane, explain the problem, and we coaches pool what little coaching cash we have for him to run to the store. He asked me what in the hell he should get for them. I went blank and when my brain kicked into gear, I blurted out the first two food items which entered my mind. Apples and crackers. Ten minutes later, after we are completely dressed out and the freshman game is about at the end of the third quarter, Coach Lane returns with four giant bags of Jonathan apples (my personal favorite) and four boxes of Zesta saltine crackers. That night, the boys ate like kings. I’ve never seen young men enjoy a meal of two completely ridiculous “power” foods like those boys did that night. 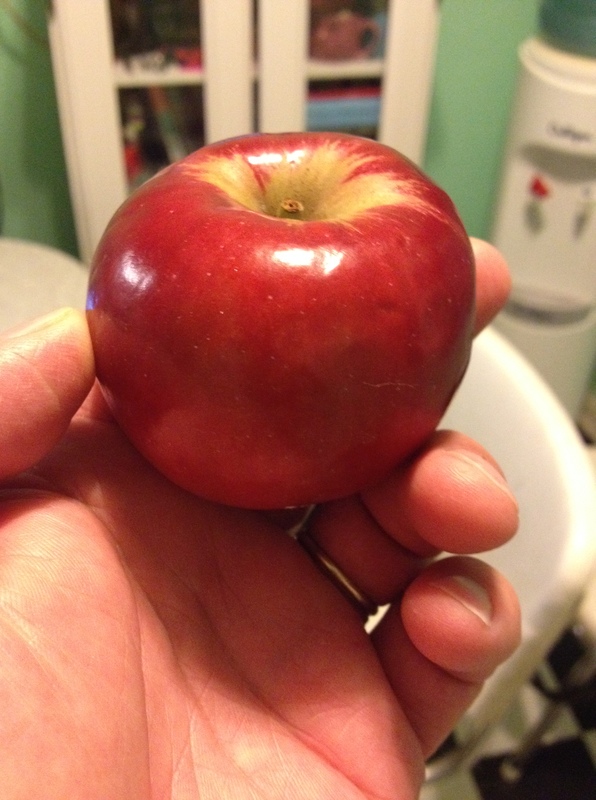 I was fortunate to grab two apples for my own dinner without losing a limb in the process. Those apples and those crackers disappeared in about two minutes. Smiles all around and life was good. Apples and crackers became a tradition for the first home JV game for the next several years. It was like a team banquet or something for these kids. Some still talk about it. The majority of the time, stupidity fades faster than a shot from a Roman candle. But, sometimes, there is a rare occasion where stupidity sticks and enjoys a long life. The incident of the apples and crackers was one of these rare events. Live well, boys! Celebrate the start of the 2014 football season with an apple and a few saltine crackers. Enjoy the snack with the zeal of youth. Enjoy it for your football memories. Most importantly, enjoy it for Friday Night in America.